Database Systems Corp. (DSC) welcomes the opportunity to partner with profit and non-profit organizations who wish to offer our products and services to their memberships. DSC likewise has developed marketing programs for individuals and groups who wish to represent our services and products in the general marketplace. These programs range from simple finder fees to private labeled integration of our calling programs within a partner's existing service and application. CARE phone systems and services are operational throughout the U.S. in community organizations that offer call reassurance programs to their members. These organizations are typically police and sheriff's departments as well as community service and private business organizations. 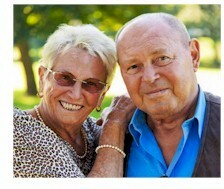 Database Systems Corp. also provides CARE services to individuals. Online signup is available for easy enrollment. Using a secure call center located in Phoenix, Arizona, DSC is able to provide subscribers with telephone reassurance as well as medication reminders across all North American time zones. The following individual calling programs can be performed using this service. Online signup is available for easy enrollment. Using a secure call center located in Phoenix, Arizona, DSC is able to provide subscribers with telephone reassurance as well as medication reminders across all North American time zones. DSC works with business partners (both individuals and organizations) to provide these subscribers with these valuable services. Contact DSC to learn more about our CARE call reassurance business opportunities and partnerships. Database Systems Corp. offers a number of different business opportunities to both individuals as well as organizations who wish to provide telephone reassurance services to their members. The following are descriptions of these different business programs. To view more detailed information, click on the name of each partnership type. CARE Independent Sales Agent - A sales agent recruits individual CARE prospects. Subscribers use our standard online web signup service to enroll. eCARE - This program is best suited for individuals or organizations that have a defined community of potential subscribers. Using a special DSC website, eCARE partners manage their own base of customers. eCARE-PL - This enhanced program is designed for organizations who wish to have a private web portal that is integrated with their own services. DSC creates a custom website that includes the eCARE-PL organization's graphics and information to seamlessly integrate CARE into an existing organization's online presence. CARE System Purchase - DSC can provide an upgraded and expandable CARE phone system to organizations that wish to manage their own calling environment. For complete terms and conditions, contact Database Systems Corp. to view a sample agreement for each of the above partnership arrangements. For individuals or organizations that simply wish to recommend our CARE service to members of their community, the CARE Independent Sales Agent is the approach to take. CARE agents contact prospective subscribers and direct them to our online website to enroll in any of our three programs (Senior Reassurance, Medication Reminders, or Latchkey Kids). The enrollee enters the agent's identification number in the CARE Code field and DSC does all the rest. DSC manages each subscription including establishing fees, billing and collections. The CARE agent receives a commission each month for fees collected from subscriber's enrolled using the agent's code. There is a one-time $25 processing fee which provides the ISA with a dozen marketing flyers referencing the ISA contact information along with an electronic PDF for reprints. The eCARE program is designed for individuals or organizations that have a large base of subscribers that they wish to manage themselves. This includes subscription registration and setting of prices. 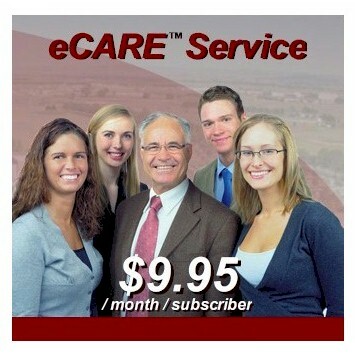 The eCARE partners set their own pricing and collect fees from their own subscribers. DSC charges a setup fee as well as a monthly usage fee to this partner. Discounted usage fees are established based upon the number of subscribers enrolled. DSC provides complete eCARE services to the eCARE partner's subscribers. This service can be any one of the CARE program models including senior reassurance, latchkey children, as well as medication and general reminders. A special eCARE website is available for the partner to enroll and manage subscribers. Reports and activity statements are available online through this web portal. 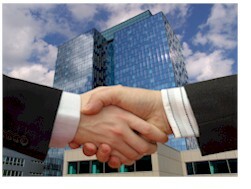 The Private Label (PL) partnership agreement is similar to the eCARE program. However a custom web interface is provided the partner to achieve a seamless interface between the partner's website and the eCARE signup web process. DSC provides the same services as the eCARE. The subscriber is not aware that DSC is performing the actual calling because there are no references to DSC on the web interface used by subscribers to enroll and manage their profile. For larger organizations, Database Systems Corp. offers CARE phone systems for purchase. These systems can be managed by the organization and subscribers can be recruited and managed independently from DSC. There are two types of CARE systems. The CARE Basic phone system supports 1 to 4 analog phone lines and is capable of calling up to 4 individuals at a time. The CARE PRO phone system supports 1 - 48 analog phone lines or 12 - 480 digital phone lines. Besides acquiring the phone equipment from DSC, CARE system purchasers needs to obtain and manage their own phone resources and office facilities. DSC provides a complete CARE management software with each system, but does not include the online web registration and management component. Contact DSC to learn more about our CARE telephone reassurance business partnerships and phone systems.